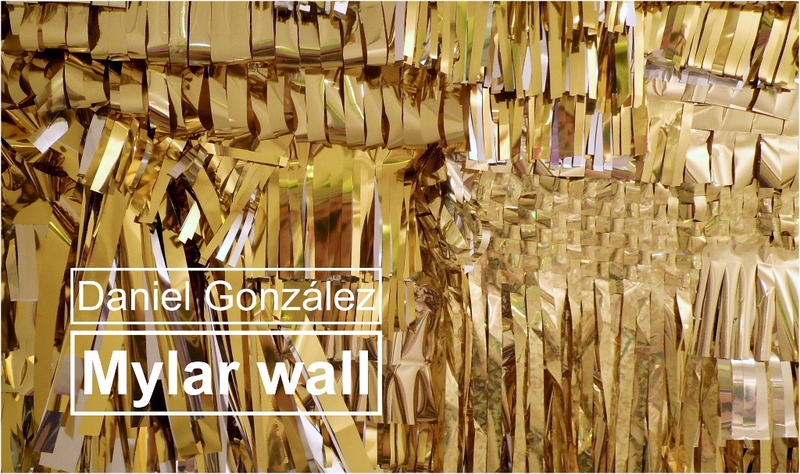 Daniel González Studio is pleased to present Mylar wall a brand-new concept of tapestry created by the Argentine artist Daniel González. 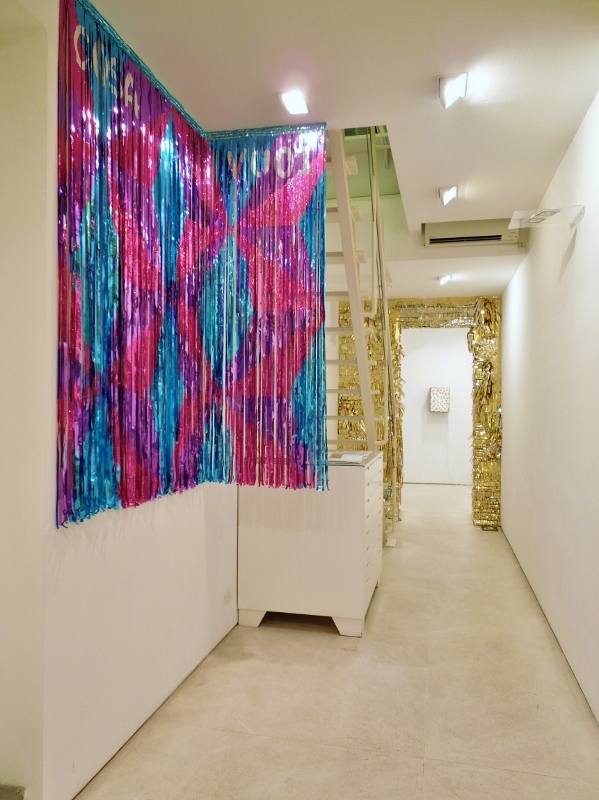 Mylar is a material that evokes the celebration time, where inhibitions are battled, taboo are smacked-down and spaces of freedom are created. 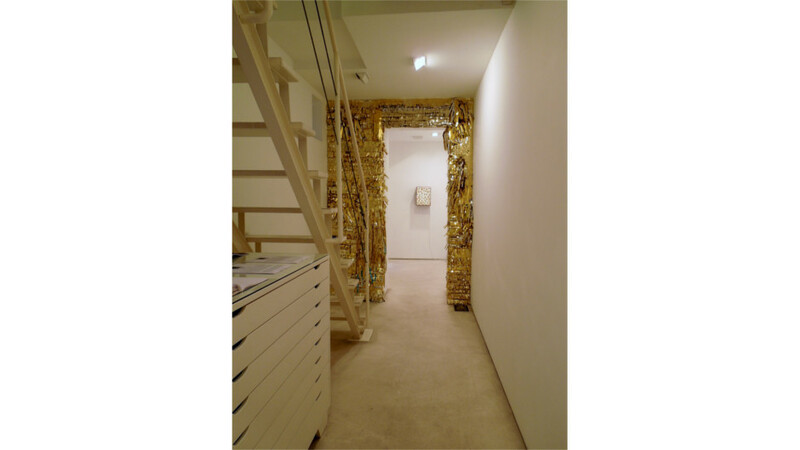 Mylar works by Daniel González can be walked through or installed like a wall painting. 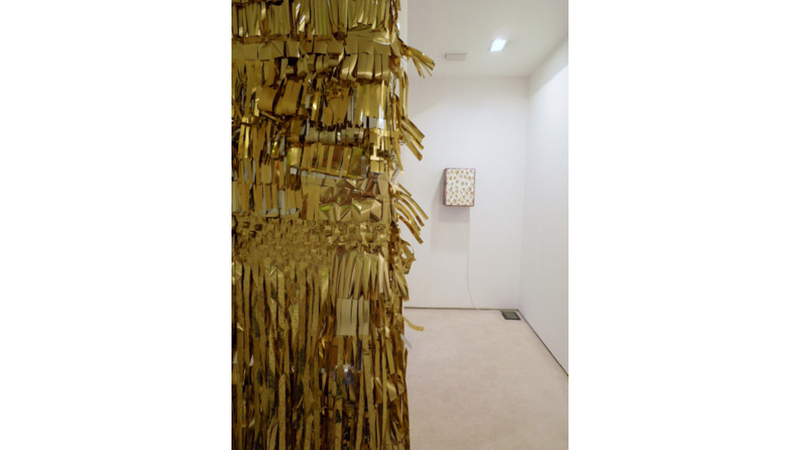 As a painter, Daniel González approaches the use of sequins and Mylar, instead of acrylics or oil colors. 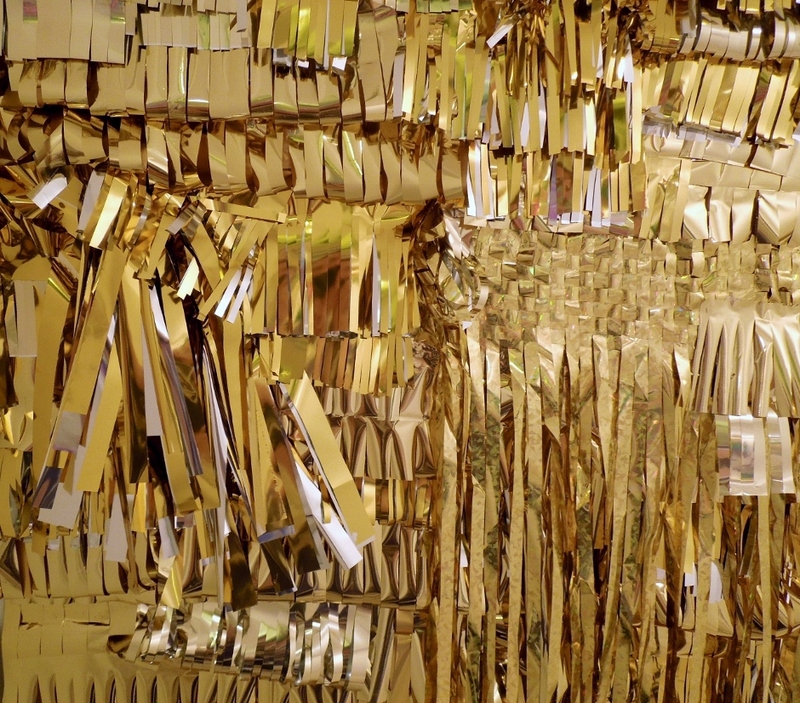 Together with a long sewing and assembling process, the use of sequins or Mylar absorbs light as crucial element of the visual composition. 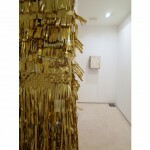 These materials reflect, change and shift the colors by the time the light changes. 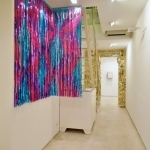 The result is connected to a sense of ephemeral in the moment we experience the view of the Mylar wall. 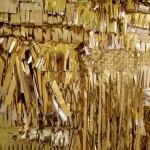 Due to the fragility of this raw material, the creation of Mylar wall is developed entirely by hand. While its assembly needs the highest attention as possible, the standard maintenance is reduced to zero. 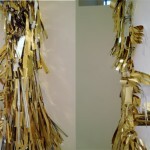 Since its installation, Mylar wall does need no restoration nor cleaning process. 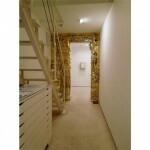 The supporting base is standard tapestry paper that needs the regular installation procedure as common tapestry rolls. 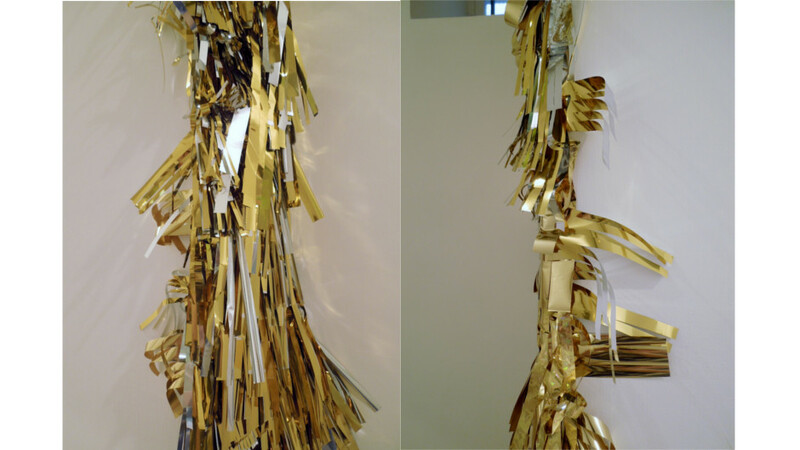 Mylar wall is produced in standard rolls in linear meters/feet. Request a quotation providing the coverage area and basic location information (sockets, furniture and wall lamps locations have to be provided by the order submission). Available colors: GOLD, SILVER, RED and BLUE. Minimum orders: from 3 square meters or 32 square feet over. Waiting time: Please expect a waiting time of minimum 1 months and a half.